Submissions for this contest are now closed! The judges are working to rank the submissions, and a date for results will be announced shortly. 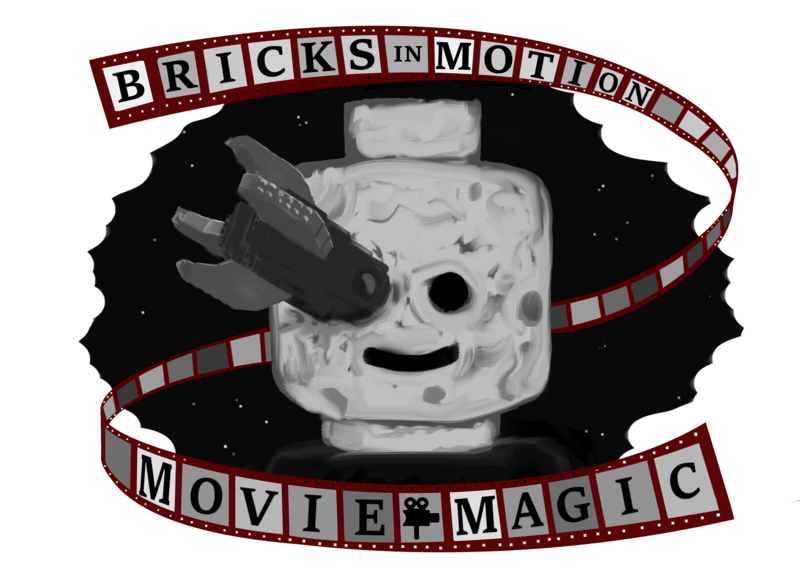 The theme of the 2018 BricksInMotion.com summer contest is Movie Magic. The contest will run from June 1st to September 3rd. 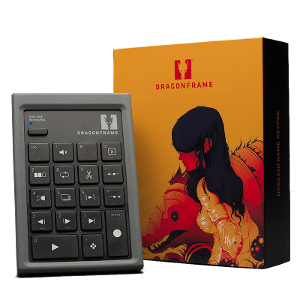 Once again, we have an exciting collection of prizes thanks to our contest sponsors: Dragonframe and Brickstuff. Movies are fake! Movies lie! It's up to the director to make those lies convincing, so their audience can share in the fun of believing them! That's why this year the theme of our contest is Movie Magic. What is movie magic? Well, it's those technical details that, big or small, sell the fantasy. Now, don't mistake this for an effects contest- we won't be gifting first place to the film with the biggest explosion! In fact, movie magic can be found in every type of film: from comedy to drama, western to sci-fi, and everything inbetween. To better understand what we mean by movie magic, let's look back at one of cinema's earliest magicians, George Méliès! Once a theatre illusionist, Méliès pioneered the art of film-making in the late 1800s and early 1900s. At a time before space exploration, his films took audiences to the moon. 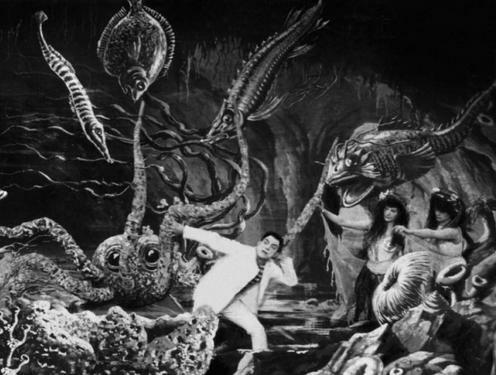 Before Jacques Cousteau brought footage of the oceans into every living room, Méliès gave his viewers a glimpse of life at the bottom of the sea. 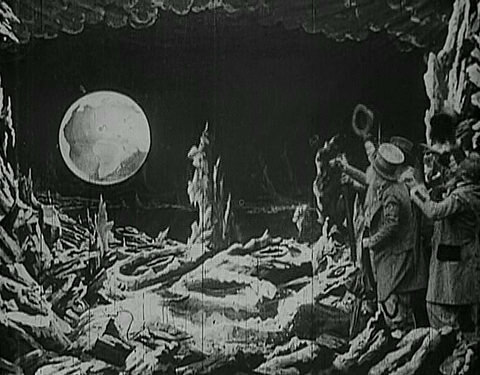 And Méliès did this all a century before computer editing became a mainstream part of the filmmaking process. He used his imagination and knowledge of stage illusion to bring worlds to life that otherwise never would have been possible with the technology of the era. Layered backdrops, unconventional perspectives, camera trickery- it's this sort of bold experimentalism that we want to encourage with this contest. Think outside the box, try new techniques, and let your imagination run wild! Not into Méliès? Here are some other examples of movie magic, contemporary and otherwise. Forced perspective, turning normal actors into Hobbits in the Lord of the Rings films. Passing the camera through walls to give the audience an intimate view of the world. This train scene in Dracula, which was shot with a toy train and a very large book! The way Fritz Lang's Metropolis shot through a partial mirror to create the illusion of massive cities. And this seemingly death-defying stunt from Charlie Chaplin's Modern Times. The core idea is to get creative and get out of your comfort zone! Come up with fresh ways of convincing your audience that brickfilms can be more than a few LEGO figures standing around a set. And remember- everything should be in service of the story, so if you really want to blow us out of the water with your movie magic, come up with a great plot that justifies it! Finally, while computer-generated effects are certainly permitted, in-camera work is more in the spirit of the contest and will be preferred in judging. Special thanks to all sponsors and judges, to Rioforce for deciding the theme and the contest name, and to Penta for assistance in reaching out to our sponsors. Prizes for this year’s competition are provided in part by this year’s sponsors: Dragonframe, and Brickstuff, and all winners will also receive Bricks in Motion: The Documentary! For this contest, we are offering a prize pool of three prize packages. This means that 1st place gets to choose which of the three packages they want, 2nd place chooses from the remaining the remaining two, and 3rd place receives whichever prize package remains. We're also bringing back the Promising Director prize this year for one talented entrant outside of the top three, the details of which are expanded on below. A sealed copy of the London Skyline set, containing 468 pieces. A great set for filming miniatures (wink wink) that has lots of those special little pieces that make a wonderful addition to any builder's LEGO collection. To quote the ad, "The LEGO Architecture Skyline Collection offers models suitable for display in the home and office, and has been developed for all with an interest in travel, architectural culture, history and design. Each set is scaled to give an accurate representation of the comparative size of each structure, with true-to-life color depiction." 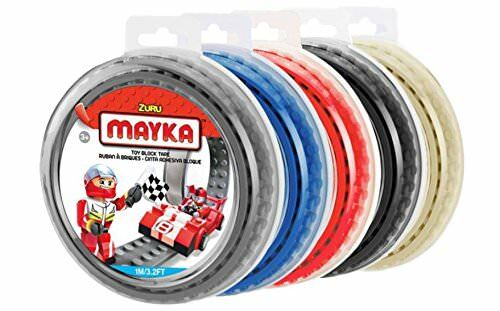 A five pack of Mayka brick tape. Contains two-stud wide rolls of Grey, Blue, Red, Black, and Sand colored tape. This tape sticks to all sorts of things- perfect for putting your LEGO in unconventional places! Special Effects: An Oral History is a fully illustrated guide to the history of effects work in film, as told by many of the industry's top creators. An excellent book for the filmmaker looking to learn from the past, or anyone simply searching for inspiration and a broader understanding of the history of filmmaking. Helping Hands are exceptionally handy for when you need to hold things still during a shot and don't have enough hands to do it. They also work great as rigs for making things fly. Plus Bricks in Motion: The Documentary. Entries will be judged on criteria including originality, production values (animation, set design, cinematography, sound, etc. ), story, and incorporation of the theme by the 4 judges. Rather than judging on categories individually, judges will examine how all these elements work together to create a complete film. Films will be discussed and ranked collectively by the judges until a consensus is reached. The top 3 films will eligible for the prize pool. Entries below 10th place will not be publicly ranked. Zach is a long-time member of the brickfilming community. He has worked independently and collaboratively on many projects, most recently an official trailer recreation for Solo: A Star Wars Story. Other brickfilms from his filmography include The Profession and Stranger Than Fishin'. The winner of last year's BricksinMotion summer contest, Spirit of Adventure, Legoander and the rest of Silent Frames have been making quality brickfilms since 2009. Their films run the gamut from comedy to tragedy, and they were recently chosen to make a promotional film for LEGO's Ship in a Bottle set. Be sure to check out their BiM 2017 winning film, Quest For Life!! Thanks for joining us, Alexander! 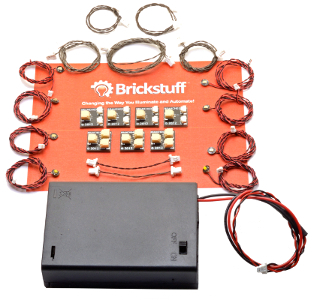 Rioforce is the current administrator of BricksinMotion, and a brickfilmer with the laurels to prove it! His film Sola Luna won the BricksinMotion summer contest Darkness and Light in 2015, and in 2016 he won THAC with another excellent film, MECH. He is also a former host of the EASTER contest. Squash hosted the unofficial 2013 summer contest Contrast, and has been a judge for multiple past BRAWLs and THACs. He has also made a few LEGO movies, his two favorites being top-ten THAC entries Face and About. The deadline for submissions will be Monday, September 3rd 2018 at 11:59 am UTC. Films may be submitted as early as the beginning of July 2nd 2018, though they cannot be made public until after the deadline has passed. A: Yes, although this is not required. If you want a high-resolution version of the logo to use in the credits of your film, here's a high-res version of the poster. A: Your film can fall into any story genre you like. A: Yes. The intention of the rule is to put the focus of films made for the competition on LEGO animation. Just remember that the name of the game here is creativity, so if you think you can achieve your shots using LEGO, you might be better off doing that. Q: Is this a black-and-white movie contest? A: NO! The clips posted in this thread are just examples to get you into the mood for innovating! Your film can be in whatever style you like. This theme is awesome! So excited to be competing! Great theme! If I can clear my schedule enough, I may be able to enter. I think I can do some pretty cool work with this theme in mind. Good luck to the rest of you out there! This is a great theme. Definitely entering this! Great!So excited to be competing! Hello guys, I'm Ron from JSON formatter online team. Our projects are: roll the ball and slope game . Hope your help, thank you! This contest will definitely produce some interesting entries. Can't wait to see them! Wow! I do brickfilms too!! Let's do this! I already have ideas flowing through my brain. I like this theme, I think I have some ideas. Great logo! I'm looking forward to entering this year. Great theme! Now the hard part, coming up with an idea! Seems to be a great contest. Coincidentally I just saw 'A Trip to the Moon' and absolutely understand your point, I like that you're encouraging us to be creative! I was already planning an a bit longer brickfilm were I wanted to make the story complex and thoughtful and the visuals as gorgeous as possible, so it fits very well into the contest. I guess I will plan to upload it after this contest and submit it. SOOOOOO cool, I will begin this once I finish the other film I am working on, I made a thread about it in preproduction and it is coming out this Saturday just on the side note. The theme looks pretty interesting. I'm looking forward to the entries. I'm excited to see what films come out of this. I'm preparing for my PhD candidacy exam at the end of the summer, so there's no way I'm entering. Good luck to everyone who takes this on!